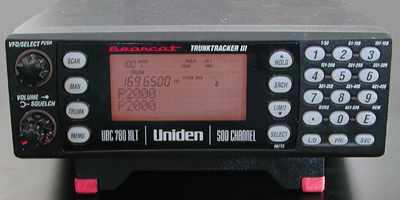 To make a discriminator output on a Uniden Bearcat 780XLT, there is no need to solder to an IC. When you remove the top cover of the scanner, the point with the unfiltered baseband signal becomes visible. 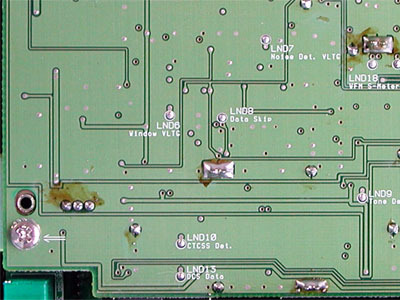 It is marked on the PCB as 'LND8 Data Skip'. The core of a piece of shielded wire is connected to this point. 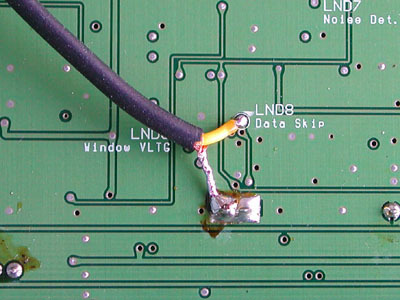 The braid of the cable is soldered to the ground connection just below LND8. 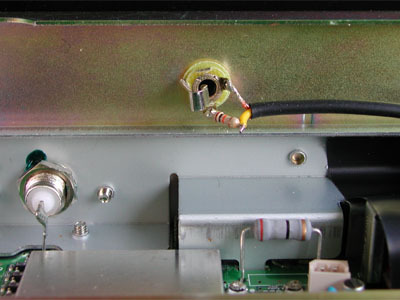 The shielded cable is led to the other side of the scanner. A 3.5 mm chassis terminal is mounted in the lower part of the back panel. I have put a 10 k resistor in series with the core conductor of the cable.